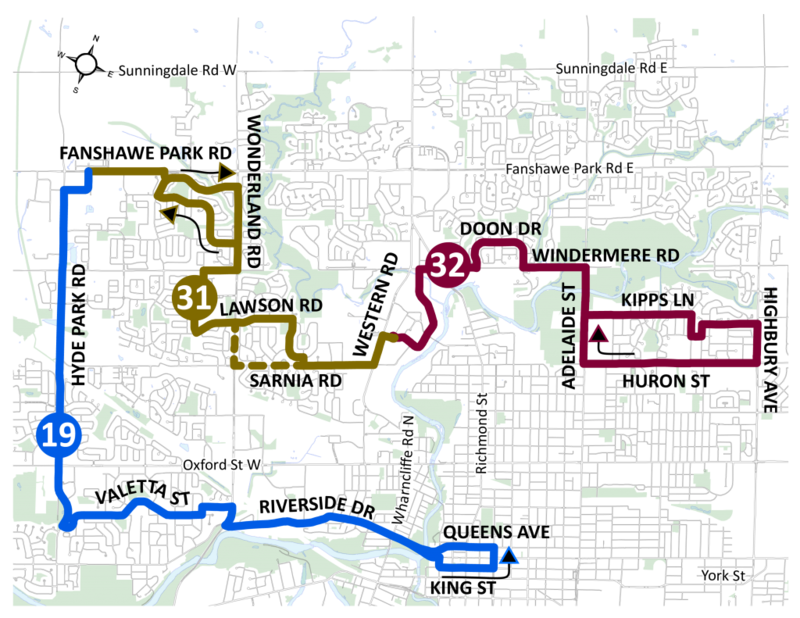 Route 19 and 39 provide a similar level of service as they operate directly on arterial roads, serve a rapidly developing area, and have similar ridership and service hours. Interlining these routes provides a better service match than the existing 19/ 31/ 32 interline. It also provides one bus connection to travel between Masonville Place and Hyde Park and Oxford. Currently, the hours of operation on Routes 19 and 38/ 39 do not match. It is proposed to extend service during all time periods to match the longest service day. The new interlined route would operate between 6:30am and 11:00pm on weekdays, between 8:30am and 10:45pm on Saturdays, and between 9:00am and 8:00pm on Sundays. 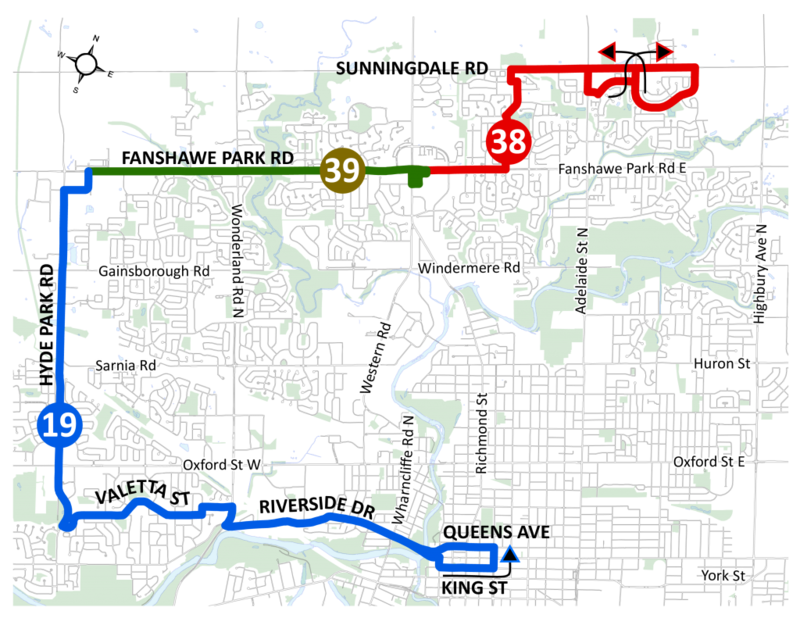 Route 38/39 would be extended one hour later on weekdays, five hours later on Saturday, and two hours later on Sundays. Finally, all three affected routes have been rapidly growing in ridership; in three years from 2015 to 2018, ridership increased 52%. Additionally, there are schedule pressures during the afternoon rush hour. An extra bus is proposed to be added during weekday peak periods to improve reliability and increase frequency.